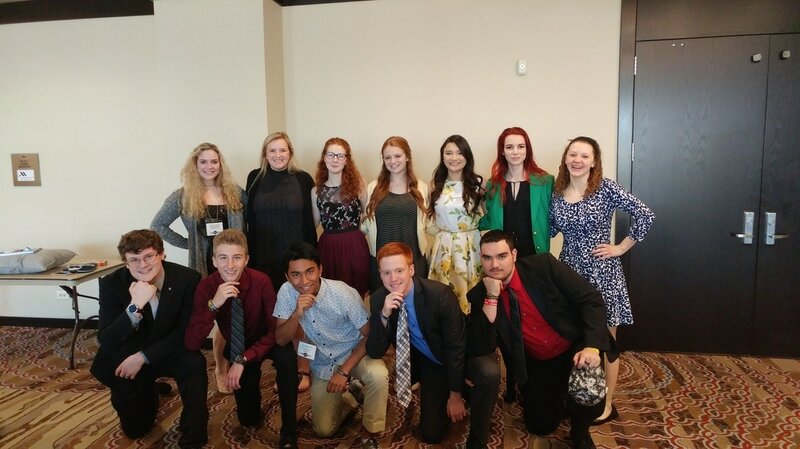 This year's District Convention, held March 17-19 in Wichita, featured key note speakers, socials, workshops, a dance, caucuses, elections for the 2017-2018 district board, and much more! Read on to find out more about what's been happening and what changes can be expected in the future. Ward Foley, more commonly known as "Scarman," shared his life experiences, explained his thoughts on kindness and forgiveness, and worked to empower Key Clubbers through his speech on his own personal "tattoos," which come in the form of the scars that he's collected from multiple surgeries and accidents. 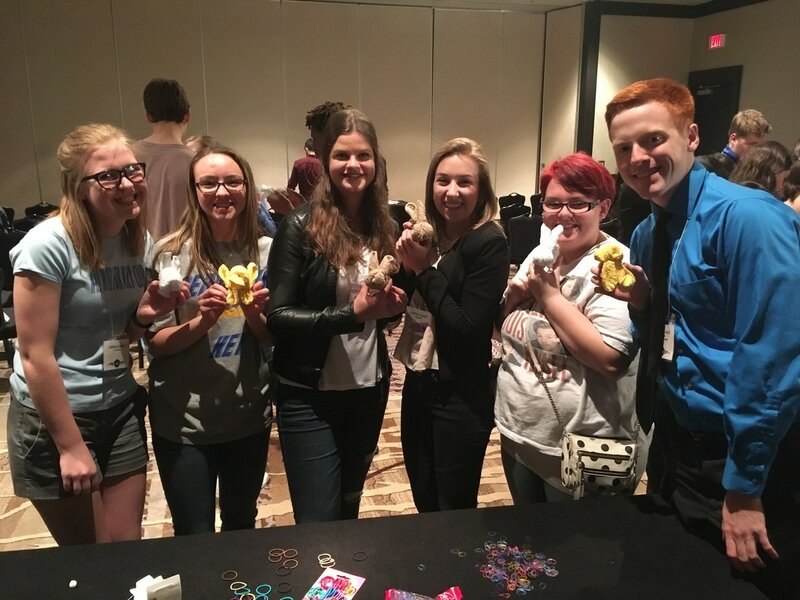 Past Kansas Key Club District Governor, Frankie Forbes, spoke about how his life has been impacted by Key Club and how the organization has and continues to shape his interactions, job, and connections. Lt. Governors Chloe Lubbers and Saubhagya Shrestha review opportunities that Key Club offers clubs and individuals -- from programs to scholarships. Hear what it is like to be on the District and International Boards from those that experienced it first-hand. Using a “MythBusters” approach, Lt. Governors Austin Kruse, Lizzie Leiker and Haydnn Neufeld set the record straight and open your eyes to the organization you thought you knew. A fun session with group activities, explanation of caucus questions and edible rewards! Social media: nearly everyone uses it. Snapchat, Instagram, Twitter, even fading Facebook. Lt. Governors Lauren Textor and District Webmaster Shayden Hanes cover establishing an account, posting etiquette and more about creating a digital presence with improved communications for your club. Whether you've been elected or are just interested in becoming a Key Club officer for 2017-18, join Governor Emily Stanley and District Secretary Luke Gilmore as they share the latest tips and tricks for organizing your club and keeping members involved and productive! ADVISORS WELCOME! Temporary tattoos aren't the only transferable brands. Lt. Governors Haydnn Neufeld and Kenton Schroeder present the history and phenomenon of The Kindness Revolution. Samples will be distributed, the concept explained and everyone will participate the rest of the weekend! Lt. Governors Lauren Textor and Lizzie Leiker present a session on confidence. Learn how to improve social skills and self-talk to become a more positive, outgoing person. The program addresses speech, posture and conversation skills. You'll receive introductory training in power poses, constructive compliments and initiating discussions! Drumming your fingers and fidgeting constantly? Stressed? This is the workshop for you! In this involving session, Lt. Governors Saubhagya Shrestha and Nickolai Mellinger show how to effectively organize and manage your time, and present strategies to minimize and control stress. Using examples of educated women who have made an impact, Lt. Governor Mackenzie Gibson and District Webmaster Shayden Hanes conduct a workshop on leadership basics. The lessons and techniques are not gender specific; males welcome! Put this weekend on steroids! Celebrate service with amazing Key Clubbers from around the world! Join International Trustee Nicole Montana and District Secretary Luke Gilmore as they present a first look at the 2017 Kansas District Tour to Dallas and the International Convention in San Antonio. Imagine a weekend away from home this summer where you meet new people and grow as a leader! Lt. Governors Austin Kruse and Nickolai Mellinger present first hand accounts on Key Leader and its transforming effects. Discover a weekend filled with activities and discussions about servant leadership. Entering college in the fall? The Kiwanis family extends to college and you can get some advance advice from panelists in the workshop who are in college now. Join Moderator Chloe Lubbers and Kansas Circle K District Governor Emily Vue and friends for a Q&A about Circle K and college life. A workshop for advisors, led by Kansas Assistant Administrator Mary Hammond. Ms. Hammond will share tips for involving Kiwanians, and moderate a "best practices" discussion for faculty advisors. 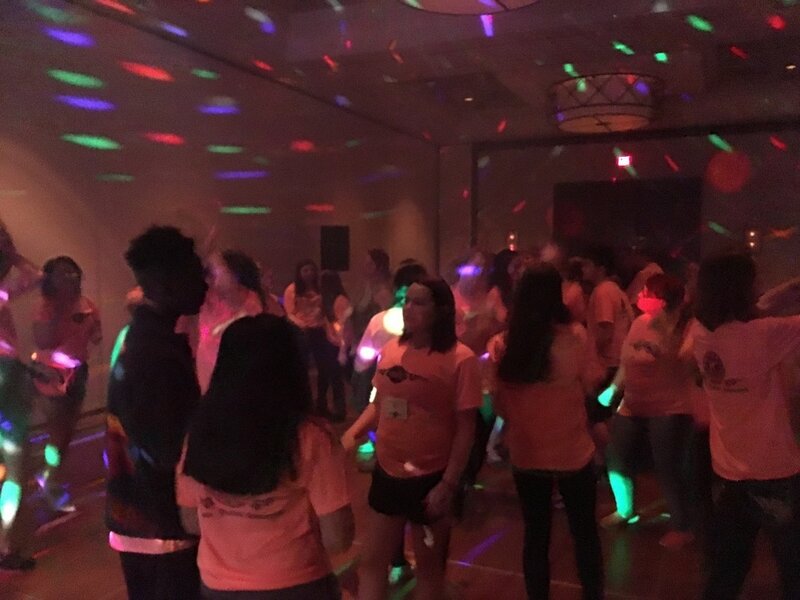 ​ Apart from Friday night's tattoo mixer, the district hosted a dance, service project, and other opportunities for members to meet those from other clubs. But not everything had to be an exercise in leadership to be a part of the convention! Vintage club t-shirt trading, awards, and the service fair all added elements of community and recognition to the program.